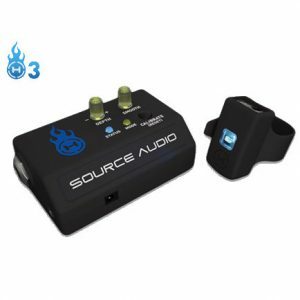 The Hot Hand USB Wireless MIDI Controller is a motion-sensing accelerometer that enables simple control over previously complicated processes and opens up a new frontier of possibilities for audio and light production. Route one bass to three amps or route three basses to one amp. Then, combine or select any combination of inputs and outputs. True Bypass circuit design prevents signal loss or tone change and passive design requires no power. 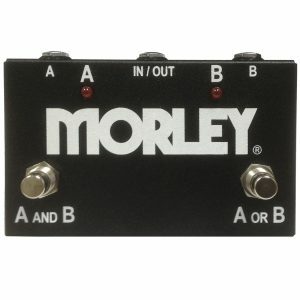 The Morley Quad Box bass (and/or guitar) and amp switcher allows for easy control of two basses and two amplifiers. 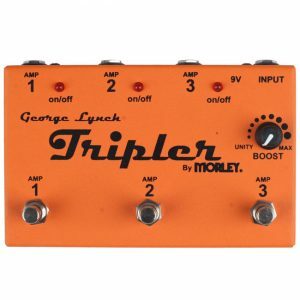 Select between either of two basses with the tap of a footswitch and select or combine any combination of both amplifiers. 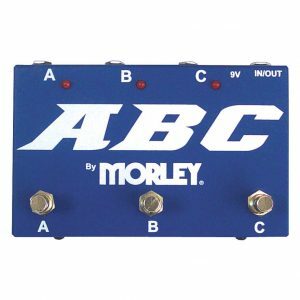 Conventional ABY boxes can control over two basses OR two amps but not both. 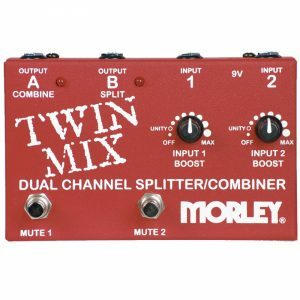 The Quad Box allows for more flexibility with quick access to two guitars AND two amplifiers without complicated Midi switching systems. 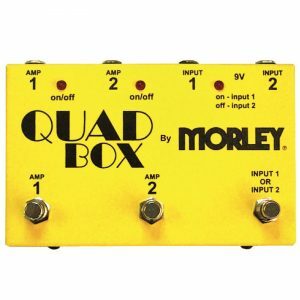 The Quad Box is manufactured in solid cold rolled steel housing and can be powered from one 9V battery or optional Morley 9V adapter. 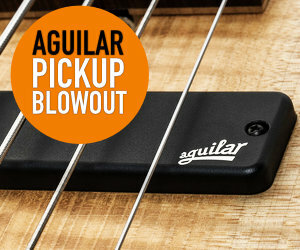 It comes equipped with LED indication and is True Bypass to maintain pure tone and instrument level. 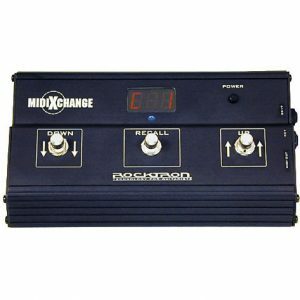 Transfers MIDI commands from your MIDI foot controller (with 7-Pin MIDI Out Jack) to any MIDI controllable gear. 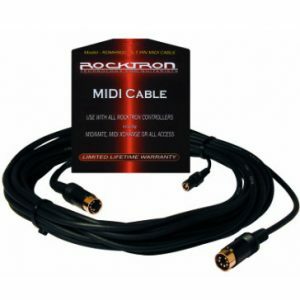 For example, plug the 5 Pin side into any MIDI input jack and plug your A/C adaptor into the input located by the 5-Pin MIDI plug. 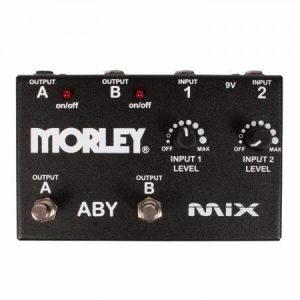 Plug the 7-Pin side into your MIDI foot controller. 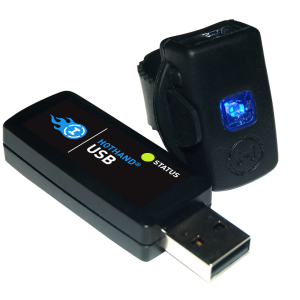 Allows more flexibility on location placement of power supplies. 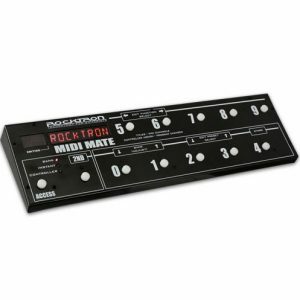 When you need to control your gear, choose one of the bass and guitar world’s most commonly used MIDI Foot Controllers, The Rocktron MIDI Mate. Now Rocktron makes MIDI control easier and more affordable with the MIDI Xchange, a low-cost portable MIDI footswitch with “SMART CONTROLLERS”. It’s the return of the PatchMate…..but better!! 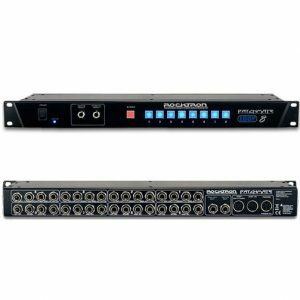 Rocktron fans asked for years to bring back the PatchMate, which enjoyed a well-earned reputation as possibly the best device ever used to help control rigs and assorted gear. Now you can get an updated PatchMate with exciting new features – the PatchMate Loop 8. 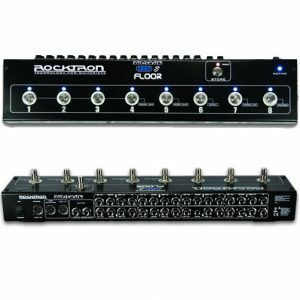 With the incredible popularity of the PatchMate Loop 8 rack switching unit, Rocktron expands the controller universe with a FLOOR version!